End the war on drugs and work with O.A.S. Presidents to open the U.N. Single Convention Treaty on Controlled Substances. Many Presidents in Central and South America, our friends in the Organization of American States have expressed interest in ending the war on drugs the USA is conducting in their countries. Direct our UN Ambassador to support reopening the Single Convention Treaty on Controlled Substances. Follow your own statements about not wasting resources for cannabis enforcement. Make sure your Attorney General and Department of Justice stops wasting money for enforcement of cannabis prohibition, that would include elimination funding for Drug Enforcement Agency. Direct the Dept. of Agriculture to draft regulations for certification of farmers to allow cultivation of hemp and cannabis. Ending the war on cannabis will reduce government spending, increase revenues and create an economic stimulus. Opium was nonetheless demonified by the twentieth century pharma-cigarette criminal mercantilism - with a regimen that would otherwise be seen as silly if applied the methadone model to nicotine. Last July the Kennewick, Washington, Tri-City Herald profiled Poppydog Farms, a new local business selling dried pods from poppies grown on 40 acres in Pasco. The operation had attracted 2,400 customers from across the country, including wholesalers as well as consumers. "Every single day we're getting new customers," enthused co-owner Ken French. "It's turned out to be a lot more successful than we ever dreamed." The paper explained that "crafters use the pods for ornamentation," while "florists grow red, pink and white-and-purple flowers with the seeds." 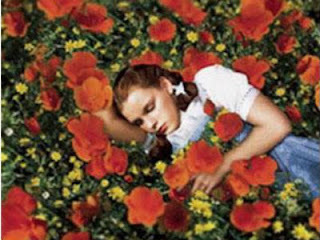 French described the flowers as "stunningly beautiful." They are also sort of illegal, a point that police clarified when they arrested French and his wife, Shanna, for unlawful delivery of a controlled substance less than four months after their business was featured in the Herald. Although Papaver somniferum is commonly used in gardening, floral arrangements, and food, it is also listed on Schedule II of the Controlled Substances Act as "opium poppy." That status usually means a substance can be produced and distributed only by people licensed to do so. 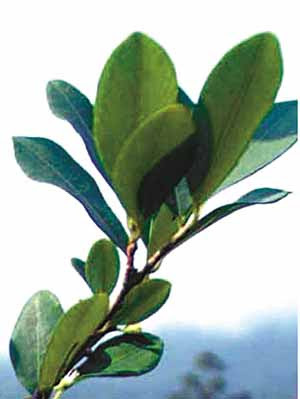 But since the plant is widely grown in the United States by people ignorant of its identity as the source of opium, drug warriors generally do not bother with it. They made an exception in French's case after he allegedly told detectives with a regional drug task force that tea made from crushed poppy pods could be used to relieve pain or improve one's mood. Police say he also announced that he sold the pods strictly for "ornamental purposes," adding, "That's my story, and I'm sticking to it." There's a plethora of evidence that Mr. Ken French [had] no idea this was an illegal activity. If he thought it was illegal, he probably would not have advertised on the Internet.... He incorporated the business, got a business license and did all the things he was supposed to do in order to set up the business. He also talked to the Tri-City Herald...and said what a wonderful business it was. That's something that people who are trying to hide their criminal activities don't usually do. Egan has a point, although the Justice Department has been known to target medical marijuana suppliers who likewise operated openly, complied with regulations, and believed their businesses to be legitimate. 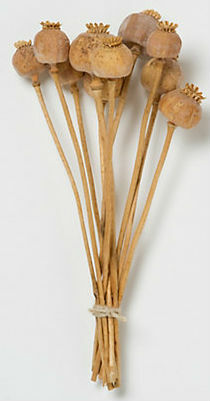 Then, too, the detectives' report of their conversation with French, assuming it is accurate, suggests he knew there was something potentially illicit about selling poppy pods, depending on the intended use. The same sort of guilty knowledge proved problematic for Jim Hogshire, who did not merely acknowledge in passing the analgesic and psychoactive properties of opium tea but wrote a whole book about it. The book, Opium for the Masses, figured prominently in the decision to arrest Hogshire in 1996, when Seattle police charged him with "possession of opium poppy, with intent to manufacture and distribute." The charges were ultimately dismissed for lack of evidence. 23 months to the 100th anniversary of the U.S. Harrison 'Narcotics' Tax [Prohibition] Act effectively banning most Opiates and anything containing any amount of cocaine, signed into 'law' December 17, 1914. The following is an article about the predessessor to the Harrison Act, the U.S. Food and Drugs Act of 1906 so empowering the Bureau of Chemistry of the USDA the iniitial thrust of what became the 'drug war'. This month marks the centennial of the first federal drug laws. On June 30th, 1906, Congress approved the Pure Food and Drugs Act, giving the U.S. Bureau of Chemistry - the forerunner of today's FDA - the unprecedented power to ban certain drugs from the market. The act proved to be a fateful step toward a regime of total federal control that would eventually restrict Americans' access to valuable medicine, stifle research, and create a vast new field of criminal enterprise. At the time the act was passed, there was no such thing as an illegal drug. 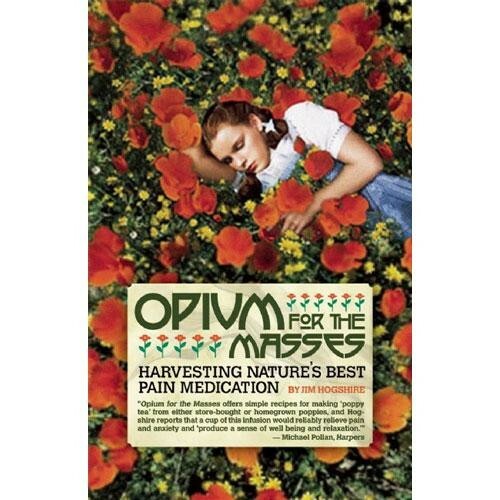 Americans could readily buy any drug at the pharmacy, including opium, morphine, cocaine, or cannabis, which was then widely recognized as a medicine. Nonetheless, there was little public fuss about drug abuse, and drug crime and violence were unknown in the legal market. However, that began to change when a coalition of drug bureaucrats and professional groups with an interest in regulation joined with the same temperance forces that would soon impose alcohol prohibition to enact tight new federal restrictions on drugs. The intent of the Pure Food and Drug Act was basically sound: to stop misbranded, adulterated, and fraudulent products. 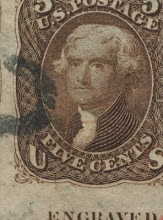 One of its key provisions was to require truth in labeling. Drug manufacturers had to give notice of intoxicating ingredients such as opium, alcohol, cocaine - or cannabis, then a familiar pharmaceutical drug. In addition, however, the food provisions of the act empowered federal bureaucrats to ban certain ingredients deemed to be deleterious. 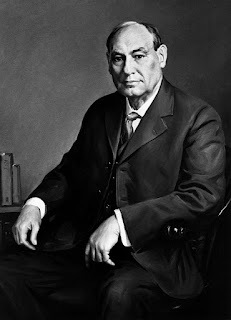 These powers were promptly abused by the first director of the Bureau of Chemistry, Harvey Washington Wiley, who favored prohibition of both drugs and alcohol. Wiley tried to use the new law to ban saccharine, caffeine, and sodium benzoate, but was fortunately unsuccessful. However, Wiley did manage to banish mild coca beverages containing small amounts of cocaine on the unsubstantiated claim that they were deleterious to health. In fact, low-potency coca beverages had been on the market for a generation with no evident health problems, and had been endorsed by such luminaries as Thomas Edison and President McKinley. Coca products are still enjoyed today in South America, where they are thought to be helpful for weight control, digestion and diabetes. However, public alarm had been fueled by the introduction of high-potency, pharmaceutical powder cocaine, which caused serious abuse and addiction problems. Ironically, while Wiley succeeded in suppressing harmless coca beverages, the market was soon flooded with high-grade pharmaceutical cocaine, which proceeded to metastasize into a worldwide criminal problem from the jungles of Colombia to the streets of American cities. The spring of 1906 brought a second important new anti-drug law. On May 7th, Congress passed the District of Columbia Pharmacy and Poisons Act, aimed at cracking down on the sale of so-called narcotics to drug fiends. The DCPPA made it a crime to sell opium, cocaine or chloral hydrate except on a doctor's prescription for illness. This effectively marked the opening shot in the war on drugs , unleashing the police against narcotics. The act was the first of a series of anti-drug measures that would culminate in national narcotics prohibition with the Harrison Act of 1914. The DCPPA applied only to the District of Columbia, since at that time it was still thought that Congress lacked power to regulate narcotics elsewhere, but it was intended as a model bill for the states, which promptly began to follow suit. Among the first was California, which enacted its own poison law in 1907 at the behest of the state board of pharmacy, an aggressive and nationally recognized pioneer in the war on drugs. Around the state, the board would dispatch undercover agents posing as addicts to wheedle drugs from unsuspecting pharmacists, then bust them and publicize their arrests in the local press. The board swept down on Chinatown, cleaning out the opium dens and burning their wares in public bonfires. It also prevailed on the legislature to pass additional laws criminalizing users and paraphernalia. Fast forward to 2006, and the FDA insists on treating cannabis like an unproven new drug, conveniently forgetting a long medical history that predates the FDA's own existence. Over time, federal drug regulations were extended to encompass virtually every aspect of pharmaceutical choice. Over-the-counter sales of prescription drugs were outlawed, effectively repealing Americans' right to self-medication. Use of experimental drugs was prohibited except by prior FDA approval, impeding research and denying access to potentially valuable new drugs, sometimes even to terminally ill patients with no other treatment alternatives. Decisions about access to drugs for birth control, abortion, end-of-life treatment and severe chronic pain were taken out of the hands of the patients and put in the hands of politicized bureaucrats at FDA and DEA. Finally, federal narcotics laws were vastly expanded to prohibit virtually every psychoactive substance of interest to humans except alcohol, nicotine and caffeine. Unlike alcohol, drug prohibition was not the product of any popular initiative. Rather it was the work of insiders, led by pharmacy boards and bureaucrats with an interest in regulation. Public debate was minimal. Little consideration was given to the likelihood that prohibition might have counterproductive effects. Viewed in retrospect, the toll of the drug laws exceeds that of the great 1906 earthquake. In the past century, countless thousands have been killed by prohibition-related drug crime and violence, and countless more by exposure to dangerous black market products. Hundreds of billions of dollars have been spent on drug law enforcement. Millions of Americans have been arrested and criminalized, and nearly half a million Americans are now in prison for drug offenses that simply did not exist a century ago. Despite this, the rate of narcotics addiction today is no lower than in the days when drugs were legal,­ around 1% of the population. In retrospect, it is hard to escape the conclusion that 20th century drug control laws have failed. By every criterion, the free market regime of one hundred years ago worked better than today's comprehensive federal prohibition. At the dawn of the 21st century, the time is overdue to address the disastrous legacy of the Hundred Years' War on Drugs. After a first attempt to amend the Single Convention failed in 2011, Bolivia left the Convention with the intent to rejoin with a new reservation designed to align its international obligations with its Constitution. [i] The reservation applies only to Bolivian territory, and exportation of coca internationally remains proscribed. Similar to the effort mounted by some countries to derail Bolivia’s proposed amendment two years ago, a group of countries again attempted to block Bolivia’s new reservation on coca. The United States spearheaded an arrangement whereby all the G8 countries would object, and several other countries also joined, including – embarrassingly – The Netherlands and Portugal. The amendment that Bolivia previously pursued could be stopped by a relatively small number of countries – 18 countries, including Mexico under Felipe Calderón, ultimately opposed the amendment. But the procedures regarding re-joining the Convention with reservations set a different threshold: a minimum of one-third of the 184 members of the treaty would be required to invalidate the reservation. In fact, the number of objections fell far short of the 62 that would have been required to block Bolivia this time – despite a dramatic call from the International Narcotics Control Board (INCB) to rally opposition, arguing that Bolivia’s move, should it succeed, “would undermine the integrity of the global drug control system.” In Latin America, the only country that moved to block Bolivia this time was again Mexico, now under President Enrique Peña Nieto. Canada, Finland, France, Germany, Ireland, Israel, Italy, Japan, Mexico, Portugal, Russia, Sweden, the Netherlands, the UK and the US. Ever notice the difference between Tobacco as initially found my Europeans during the 1500 and 1600s, and that developed by the 1800s. 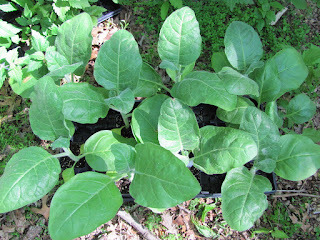 The original Tobacco was a small leaf- Nicotiana Rustica. It was of sufficently high nicotine content, and that of other natural components making it too harsh and psychoactive to take more then a few 'hits' daily. It was taken smoked in clay pipes. Or taken as a finely ground snuff intranasally or in some fashion suckeled- but not swalled as the juice was simply too toxic. Its designed to make more money by making more smoking. 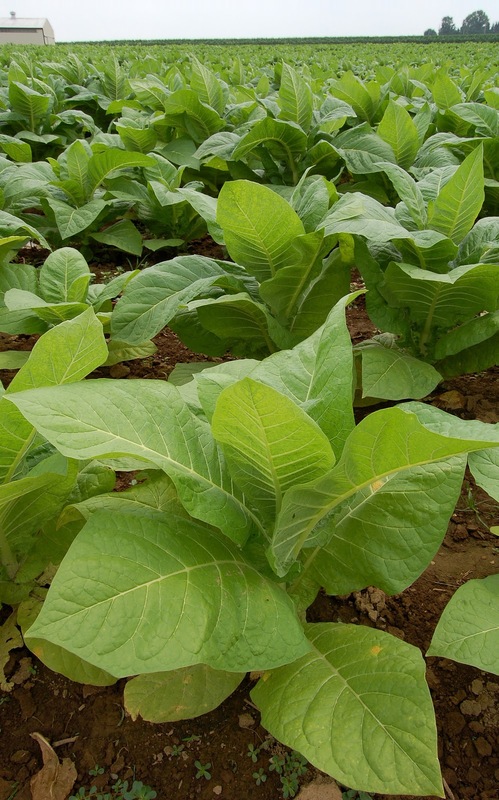 By breeding out Tobacco's more interesting psychoactive properties, and such breed results in a significently reduced nicotine content per given amount of leaf material. The Tobacco, though still too toxic to be swallowed, is now sufficently 'mild' to be inhaled deeply into the lungs and so smoked repeatedly. This is an economic process furthered by the development of cigars, cheroots and particularly cigarettes. One of two main categories of consumables exempt from being required to lable the ingrediants (the other being alcoholic beverages), Tobacco products are more often then not loaded with numerous additives. These include burn accelerants, even within the paper, as I've seen by loading a cigarette tube with Cannabis with no Tobacco, and observing it burn way faster then as with regular rolling paper- encouraging smokers to take more hits more quickly. 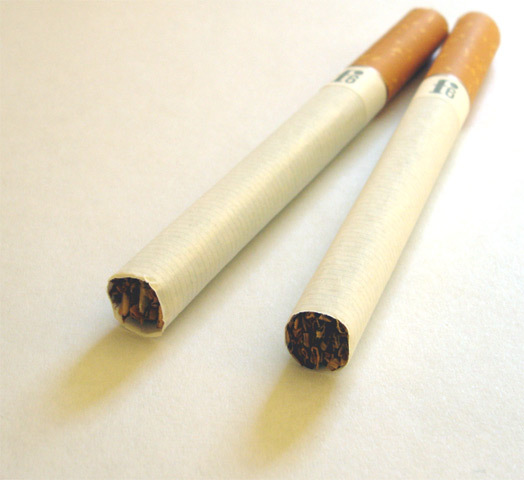 And these include chemicals to facilitate the release of nicotine into the human CNS system. And this at times includes marketing designed to faciliate confusion leading users to graduate to stronger versions unwittingly, such as Marlboro's use of label colors upon its 'lite' and its regular extra long '100s' to induce 'lite' smokers to try the longer cigarettes assuming they are 'lites' for having similar yellow or gold label color, rather then the red color of the regulars. MJ Model - "Dietary Supplement Health and Education Act of 1994"
If your plan consists of merely trying to treat cannabis as if it were alcohol or tobacco, you will loose my support. It is not brewed. It is not distilled. It is not fermented. It is NOT like alcohol. Alcohol KILLS thousands of people every year. Cannabis, by contrast is not only non toxic, but the latest findings show that it is a powerful anti-caner agent. Cannabis does not need a government subsidy to survive, the way tobacco does. 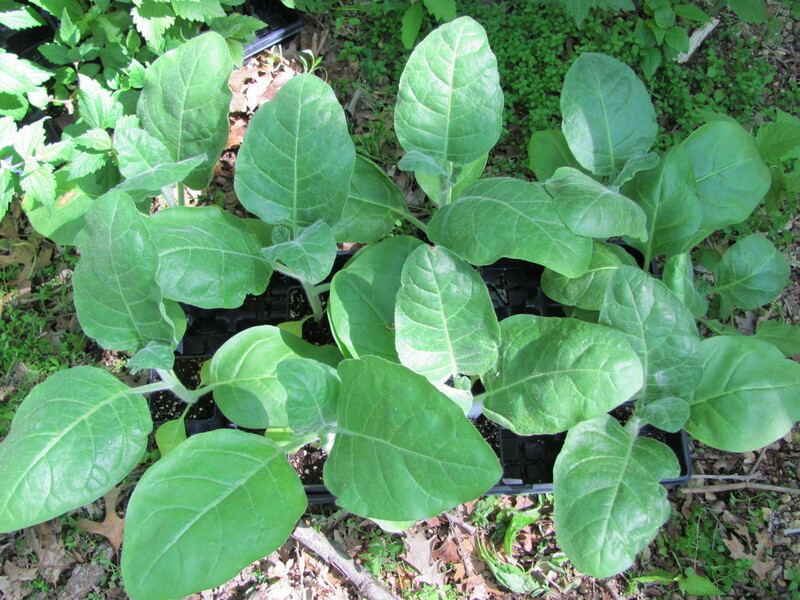 It is not a particularly labor intensive plant to grow, in fact, it grows wild naturally in all 50 states.Tobacco does not. Tobacco is accountable for thousands of deaths annually, and cannabis is NOT. So if you plan to say that your strategy to end the pothibition is to simply treat it like alcohol or tobacco, you are making a MAJOR MISTAKE! There are OTHER ways to go about thinking about how cannabis regulation ought to be changed. One thing that you need to keep in mind is that by treating pot like alcohol you are adopting the "fallback" position of those who seek to keep pot illegal. It means that you are adopting the plan that your opposition WANTS you to adopt. Any good successful Politician, General, or Coach will tell you that if you allow your opposition to set the "Game Plan" or Strategy, that you have effectively LOST your battle before it even begins. Since the AUTHORITIES who want to keep pot illegal are willing to entertain the notion that you can treat weed like booze, doing so automatically defeats our program. In addition to this, there is a little known alternate model that is available to us in our efforts. It is known in the US as the "DSHEA", or the "Dietary Supplement Health and Education Act of 1994". The DSHEA is the federal law the regulates OTHER MEDICINAL HERBS, stuff like Cammomile or Comfrey, that is commonly sold in health food stores. It is also the law that prevents the United States Food and Drug Administration from exercising regulatory control of these natural plant medicines the way it regulates over the counter patent medicines and prescription drugs. As a result, it provides an excellent model for how We could end the pothibition WITHOUT having to either follow the schema of BIG GOVERNMENT or BIG BUSINESS. This is actually quite important. If you examine the recent (less than satisfactory) "Successes" in Colorado and Washington, you will find many disturbing things. In both places the state has mandated the establishment of a state run "Pot Commission" to "REGULATE" pot sales and distribution. I find this particularly unwelcome, as (at least as I understand it) the state has already attempted unsuccessfully to "REGULATE" cannabis by simply declaring it illegal. If that effort has failed, then the validity of the state trying to regulate cannabis in some other fashion is equally questionable. If you examine HOW the new face of pot regulation is managed, you will find that in Colorado, the state wants, (in it's medical gardens applications) a barcode attached to every plant, and a state installed video camera that watches the pot plants that are being grown. This is ludicrous when trying to "CONTROL" a plant that naturally grows wild in all 50 states. In the state of Washington, the state has mandated a noxious and unrealistically low test to determine the standard of "intoxication" for "Driving Under The Influence" as 5 nanograms per milliliter of canibinoids in a blood sample. This is ridiculous, as it means that if you smoke a joint today, you cannot legally drive your car for the rest of the week. Such standards are the product of allowing our opposition to set our game plan for us, and are ultimately self defeating. Another thing to bear in mind is that the people who have taken the lead in changing the pot laws for a long time are the people who have been providing you with your pot for the last 50 years or so. Many of the plans for de-regulating the pothibition carry some variety of clause that states that anyone who does not have a squeaky clean background cannot pass the state mandated background check for getting legal employment in the newly emerging cannabis industries that are coming nationwide. Again, this is a MISTAKE. The reason is pretty simple. If the person who is the most experienced and knowledgeable person regarding a given topic, (in this case, cannabis sales and distribution) is not allowed to work in that business or industry, then that industry is loosing the input of it's leading experts. If that happens, then a LOT of FUMBLES, MISTAKES, and ERRORS will take place as people who do not know what they are doing are forced to "reinvent the wheel" so to speak. And in the process, the state has succeeded in "Throwing the counterculture under the bus". If that is the outcome, or even the potential outcome, of any cannabis deregulation, then that effort has failed, as it is keeping the people who are most interested in cannabis from working in that emerging industry. I say that "WE" as cannabis activists, do NOT want to keep ourselves from being barred from the very area that we are struggling to free. Consequently, such an approach is a failure by definition. And again, it IS a problem. Ask almost anyone who has been fighting against the pot laws for a long time, such as your friendly neighborhood reefer man who has been distributing weed for the last 20 or more years, and you will almost invariably find that they have been busted at least once at some point. Under laws that require not having been busted in order to become a legal cannabis trade worker, you are prohibiting those experienced cannabis trade black-market employees from getting work as a legal market employee. It also means that the persons who know the most about pot cannot work in their field of expertise, and THAT is a MAJOR disservice to the leading experts in the field. The WAY that you change the rules is actually MORE IMPORTANT that the fact that you are changing the rules. If you allow a poorly thought out change to take effect, then you will have set a bad precedent, and as the experience of the last 70 years of pothibition have shown, a bad precedent is very hard to overcome. DO NOT allow those who are inessential opposition to "US" to set the game-plan and or policies that "WE will have to live by, unless we want to get more of the same as we have been getting, (albeit dressed in kinder and gentler clothing). I have been working on this issue for the last 40 years. I am the founder of the Ohio Hempfest, a national co-founder of "Anti-Racist Action", a co-founder of the "Critical Mass" bicycle rights protests in both Columbus OH and Chicago IL, a "Yippie!" and a former apprentice of the late Abbie Hoffman. With all of this experience and an enormous background in political activism, I think I know a few things that people who have been working in this field less than I have been have not learned yet. As a result, I feel compelled to state my case, which you have just read. I thank you for your time and attention, and urge you to seriously reconsider just HOW you want to de or re regulate cannabis. If you do it RIGHT it will become a powerful tool of freedom and liberation. If you do it wrong, then you re throwing the counterculture that brought cannabis to your attention under the bus and merely empowering big brother and the institutionalization of "Marlbud". Founder of the Ohio Hempfest and one of the "Nebraska Three", (Along with Jay Statzer and Dana Beal). Again. thank you for your time and attention. Quick facts regarding cancer: Approximately 500,000 deaths were expected for 2012. 1,638,910 new cancer cases are expected to be diagnosed in 2012. In 2012, cancer is expected to be the second most common cause of death in the US, exceeded only by heart disease, accounting for nearly 1 of 4 deaths. Quick facts regarding Leukemia: An estimated combined total of 140,310 people in the US are expected to be diagnosed with leukemia, lymphona or myeloma in 2011. Approximately every 10 minutes, someone in the US dies from a blood cancer. This statistic represents nearly 145 people each day or more than six people every hour. See USPTO patent number 6630507. "The cannabinoids are found to have particular application as neuroprotectants, for example in limiting neurological damage following ischemic insults, such as stroke and trauma, or in the treatment of neurodegenerative diseases, such as Alzheimer's disease, Parkinson's disease and HIV dimentia." Quick facts regarding Alzheimer's disease:5.4 million Americans are living with Alzheimer's disease. On in eight older Americans has Alzheimer's disease. Alzheimer's disease is the sixth leading cause of death in the United States. Today, 5.4 million Americans are living with Alzheimer's disease - 5.2 million aged 65 and over, and 200,000 under the age of 65. Quick facts regarding Stroker: Stroke is the third leading cause of death in the United States. More than 140,000 people die each year from stroke in the United States. Stroke is the leading cause of serious, long term disability in the United States. Each year, approximately 795,000 people suffer a stroke. About 600,000 of these are first attacks and 185,000 are recurrent attacks Nearly three quarters of all strokes occur in people over the age of 65. The risk of having a stroke more than doubles each decade after the age of 55. Strokes can and do occur at ANY age. Nearly on fourth of strokes occur in people under the age of 65. Stroke death rates are higher for African Americans than for whites, even at younger ages. On average, someone in the United States has a stroke every 40 seconds. Quick facts regarding Parkinson's disease: Each year, approximately 60,000 Americans are diagnosed with Parkinson's disease. That is 1 in 272 people ho have the disease. This number does not reflect the thousands of cases that go undetected. However, it is also estimated that 1.10% of the US population, or 1 in 90 people, have the disease and do not know it.